Macedonian girls, Simona Velkovska (22y.) Isaja Karadakovska (20y.) and Kristina Lukanovska spend last June in Tarragona, Spain where they took part in European Voluntary Service. It’s the international volunteer programme funded by European Commission which enables young people (aged between 18- 30) to carry out voluntary service in non-governmental organization or public body mainly in Europe for period from 1 to 12 months. Isaja is student of political science on Faculty of Law in Skopje, meanwhile Simona will graduate in Tourism and Hospitality. 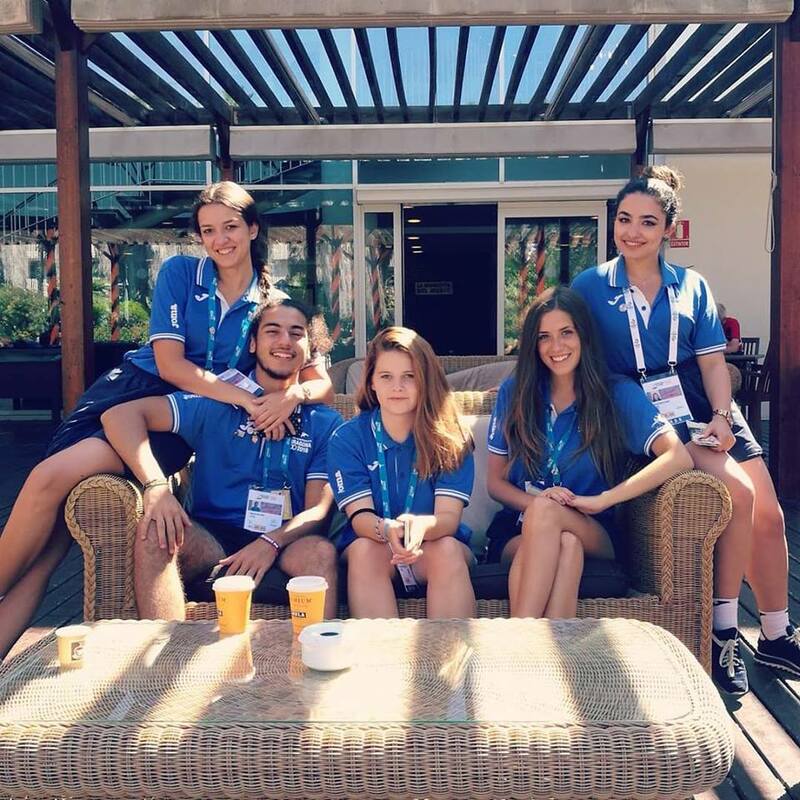 They share their experience about volunteering on XVIII Mediterranean Games, multisport event that is organized within the Olympic movement, with the recognition by the International Olympic Committee. 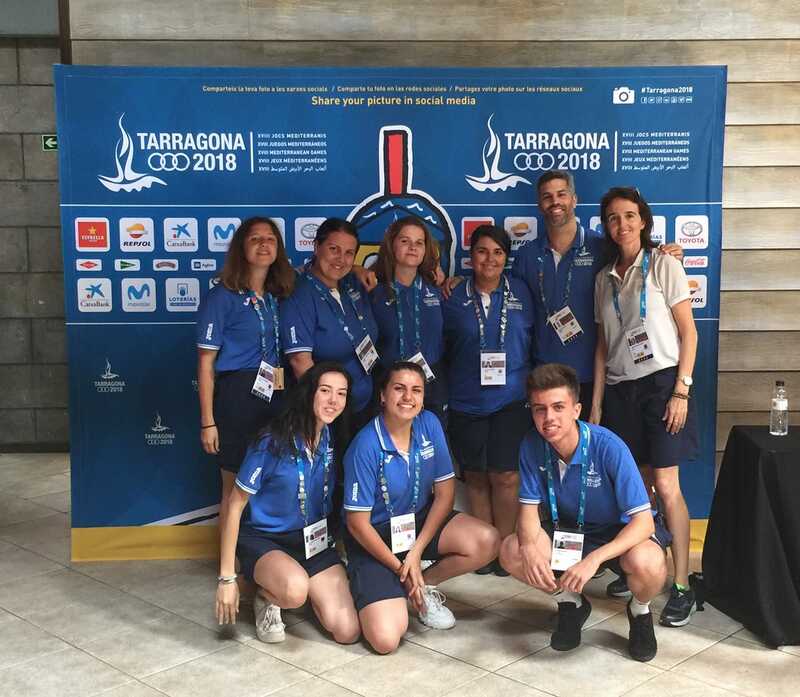 The competition was held from 22 June to 1 July 2018 in 16 municipalities of Tarragona, featuring 33 sports disciplines. Girls were part of Asociacion Mundus from Barcelona which provided them with all necessary needs and coordinate their volunteering during the one month. Why you decided to go on EVS? 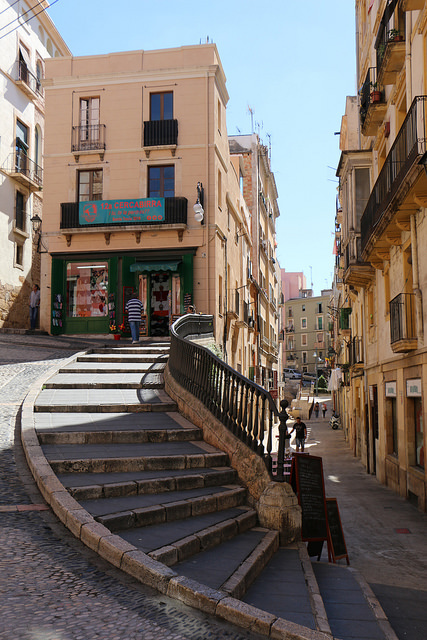 Does Spain was your “dreamy” destination? Isaja: This was actually the first EVS that I’ve ever applied for, so it’s probably my gift from the universe to be accepted on my first attempt. The main reason why I applied for this project was to challenge myself. I’m a quite homesick person by nature; it took me a year to get used living in Skopje, the first couple of months I literally went back to my hometown every single weekend. I’m also planning to apply for a master’s program abroad and being the way I am, that would’ve been very difficult for me. Anyway, at the beginning of project I had to face some problems like sickness. But I overcame it! I met amazing people and I had perfect mentors who were there for me. I had time to reflect on my problems and rationalize this totally irrational feeling; I really think that I can deal with homesickness better now. Simona: On February I saw an opportunity to go in Spain for one month and it seemed really interesting to me. This opportunity actually was EVS project and I never participated before in any Erasmus+ programme. 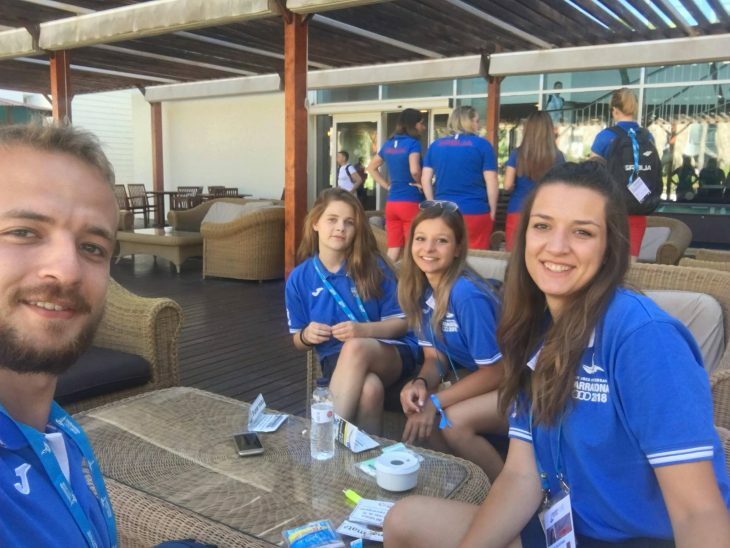 Idea of being a volunteer on Mediterranean Games was very cool. Besides that, I was hosted in Spain, my dream country. The sun, the beaches, the food, culture, Spanish language are the reasons why I love this country and it also motivated me to join the project. What were the main activities during your EVS? What kind of task you had? Isaja: Well, the MedGames is an event of enormous proportions, so volunteers are basically there to help in everything. It means that we didn’t really have fixed roles, which was okay in my opinion. I was given various jobs and that gave me the opportunity to find out in which fields I feel suitable and also what I don’t like to do. Before the grand opening, I worked at the main logistics center, where I helped with preparing the backpacks and other goodies for athletes. It wasn’t the most creative job, but I liked it because it was well organized. The next 5 days, I worked at the Accreditation Welcome Center, which is the place where delegations come to pick up their accreditations for the games and I enjoyed this job a lot. To be honest, it was quite chaotic place, but I had the opportunity to meet a lot of people, more than I met in my whole life. It was also bit of stressful, as there were times where all of our supervisors were really busy, so we had to make certain decisions regarding the procedures. What’s more, we worked double shifts, from 9am till 11pm and if you are not used to – it can be a bit overwhelming. I figured that I actually like to keep myself busy. I also had a chance to work at an actual competition – a volleyball match, which was kind of new for me, cause I really don’t know much about sports, so I had to learn the rules of specific sports in order to be efficient. My last day of work was at awarding ceremonies and I carried the medals that were given to the three winners. This job was quite formal, since there was a protocol to be followed, a lot of politicians, media and audiences, so I tried to do my best and not to fall. It really gave me a glimpse of the different ways you can contribute to something and I think that I really improved my work attitude, for which I am grateful. What did you learn during this time in Spain? Do you feel like you grow up as person or you develop some skills? Isaja: I really feel like I’m more responsible and I can take better care of myself and others. I learned how to deal with homesickness and how to handle everyday life with people from different countries. However, the most influential people were my mentors and coordinators from Asociacion Mundus. I was surprised many times by them, because they all recycle the trash, pay big attention to environmental issues or most of them are vegetarian. I think I gained from them few positive and healthy habits and I’m very glad about that. What were the most difficult things during your EVS? Simona: I remember just one difficulty with the Spanish volunteers, who were our colleagues and they didn’t speak English. At the beginning it was hard to communicate with them, but then we somehow managed to understand each other and until the end of the competition we didn’t have any problems. Isaja: We received the schedules late at night, which made it harder for our hosting organization to bring the people and arrange transport to the venues. Nevertheless, I didn’t perceive those things as such problems, because Mundus covered that perfectly. Well, my main problem during this month was homesickness. Apart from that, I have nothing to complain. How did you adapt to Spanish culture? Isaja: I think all of us adapted pretty smoothly because I realized that people adapt to social norms pretty fast. Coming from Macedonia, we’re not used to taking care of our community that much. I mean, never in my entire life have I spared 10 minutes in front of the trash cans to separate the garbage so it can be recycle, and in Spain it was totally natural thing. It really bums me out that I never felt the need to do that in my own country and I’m a bit ashamed of that. I guess, here in Macedonia you just do what everyone else does, and the fact that most of us feel really demotivated probably has something to do with our unwillingness to change something. Anyway, I think the harder part was adapting to all those different cultures in the group. There were a lot of participants from Middle East countries, which have different ways of functioning, so it was interesting to observe their habits. Being among that many different cultures helped me to realize one thing: we all think our country is the worst so we just want to give up and go to better place. I’m more aware now that every place has own challenges and this really motivates me to contribute to my society and help make it better. How about practical arrangements like accommodation, pocket money, food. Was it enough for living? How the hosting organization treated you? Isaja: The accommodation was in a student complex called Complex Educatiu- a place that I didn’t like when I arrived, because I didn’t know the place itself and I didn’t know anyone, but I really miss it right now. The food they provided us was delicious, it made me feel closer to home and we had a chance to try few traditional Catalan dishes. The pocket money seemed a bit underwhelming at the beginning, but being provided with food, it turned out to be just right. And the hosting organization was simply the best. Especially Alberto, the director of the organization and Desi, who was in charge of logistics, they really made me feel like home and I can’t imagine better coordinators. I need to mention also Clara who spent with us just a week, but she was really sweet and I missed her presence until the end of the project, and of course Sara, to whom I am very grateful, cause she took care of me when I got sick and help to survive these tough days. Also, Adele, who has this magical ability to brighten up your day whenever you see her, I’m really grateful for everything they did for us. Simona: The hosting organization was more than amazing. They did so many things for us, even more they were obliged to. I could count on them when it comes to picking us up from different locations, buying food, taking care of us if we felt bad, giving us free days when we needed etc. Pocket money was enough for one month. Do you recommend participate in EVS? Isaja: Absolutely. I’m really proud of the things I learned, the amazing people I met, the places I visited, the impact Catalonia made on me and the motivation I’m left with right now. I would recommend it to everyone, especially to youngsters who are about to start university because it might helps you to shape your interests and decide what you want to do in life! Simona: During my EVS I have learnt a lot of new things; it enables you to grow as a person. You broaden horizons, you become more aware of the environment, you start to be active and want to make a change in own community and country. I definitely recommend to all the young people to participate in EVS (it’s once lifetime opportunity by the way) because it develops new skills and make people to be more responsible citizens.